I smiled inside. It quickly dawned on me: Here’s the new-normal for when people come together this time of year. Not: “How was your weekend?” or “How’s the wife/husband?” or “How’s the job?” Not: “How ya doin’ pops?” – but rather, “How’s your team?” Fantasy Football is back. Fantasy Football a plague, a virus? You bet! And one for which we don’t necessarily want a cure – though our bosses might, given estimates that Fantasy Football cost employers $16 billion in 2015 in unproductive work time over the 17-week season. I mean, the blame belonged either to Fantasy or productivity lost to watching puppy videos on Facebook, right? Seriously, we’re seriously into Fantasy Football. According to The Fantasy Sports Trade Association, more than 57.4 million people age 12 and above played fantasy sports in 2015. Since we’ve been talking in pestilential terms, that’s nearly as many Americans who suffer colds a year. To which I say: Thank goodness for energy. No disrespect to Cam, Dez, AD and Odell, but without modern energy there’d be no pro football as we know it, and for yuks we’d be back in the 1850s talking about Fantasy Horseshoes or something. Thanks to the power of energy, there’s the NFL – and Fantasy Football is everywhere and accessible to nearly everyone. Beyond the data centers and servers that support the Internet, we’re talking about power for laptops during your Fantasy draft, power to charge smartphones when you’re reading and weeping about last weekend results, power to surf the Internet for the latest intel on Aaron Rodgers’ bunion. Power from natural gas – abundant and affordable because of the ongoing U.S. energy renaissance – that’s expected to reach a record level this year, EIA says. There’s a lot of us looking. According to Nielsen’s 2014 Year in Sports Report, more than 70 million consumed sports on either their smartphones or computer in the third quarter of 2014. And of that group, the top 20 percent—10 million on phones, 15 million online—consumed 85 percent of the total sports minutes viewed in that quarter. A collective 72.3 million Americans consumed a staggering 7.1 billion minutes of sports content on their smartphones in October 2014, with 79 million online users consuming over 8.7 billion minutes of content. From October 2012 to 2014, the average user increased their monthly smartphone time spent by 35 percent. None of that happens without energy. There’s a lot of energy involved for each league’s Draft Day festivities – whether you’re gathering at the local watering hole or in the basement at “Touchdownton Abbey’s” house. Let’s say all your Draft Day trash talking and chest-thumping occurs at a sports bar. Everything – the bar’s lights, cooling systems, high-definition televisions, all-important Wi-Fi and surround-sound systems, the kitchen preparing the nachos and wings, the draught system dispensing cold beer, the transportation to and from the event—requires tremendous amounts of energy. Restaurants and bars use about 2.5 times more energy per square foot than other commercial buildings. Kitchens are particularly energy intensive. For example, a typical electric deep fat fryer uses more than 11,000 kilowatt hours of energy per year. According to the U.S. Energy Information Administration data, cooking in a typical restaurant accounts for 49 percent of total annual natural gas use, while refrigeration accounts for 31 percent of total annual electricity consumption. 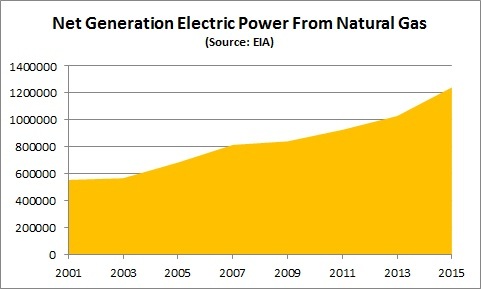 Again, thanks natural gas and the other leading fuels for utility-scale power generation (coal, nuclear, wind, hydro). The energy we use comes from somewhere – mostly, oil and natural gas (accounting for about 65 percent of the U.S. total in 2015; projected to be 65 percent of the U.S. total in 2040). So here’s raising a glass to the spirit of competition, a salute to the next 17 weeks of friendly rivalries – adversaries going by names like “The Bacon Eaters,” “The Tannehills Have Eyes” and “Rudy Was Offsides” – to the 32 NFL teams and 1,696 players that entertain us, and most importantly, to the energy resources that make Fantasy Football an entertainment reality. Now, let me go check on my team.